Jan - 04 | By: Oregon Film | no comments. Are you working on your short film script? 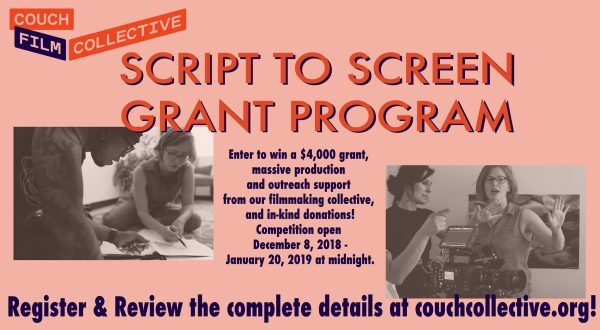 Our SCRIPT TO SCREEN GRANT PROGRAM is OPEN until January 20th. 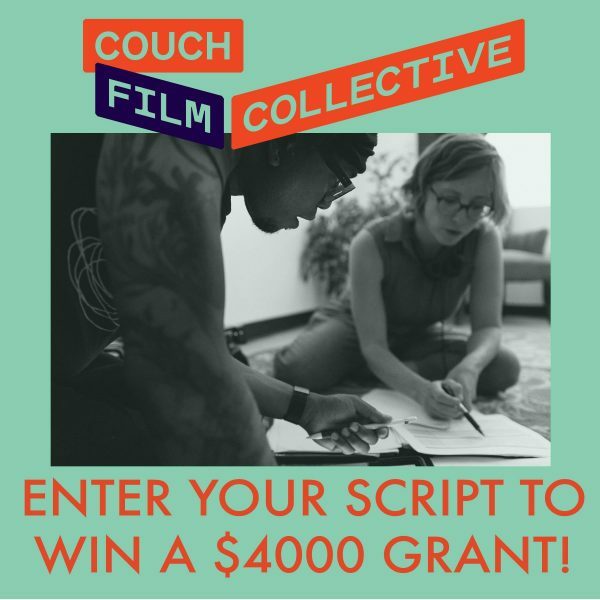 Members of the Couch Film Collective can enter the 2019 Script to Screen Grant Program for an opportunity to win a $4,000 grant (our biggest grant yet! ), massive production and outreach support from our filmmaking collective, and in-kind donations! The final deadline for submissions is January 20, 2019 at midnight. We will also be hosting a Table Read with actors January 10th so you have a chance to polish your script before the deadline! – Script must be 8- 10 pages. – Production must have less than or equal to seven speaking roles. – Limit to two day shoot. – Department leads (or co-leads) must be women/non-binary- Writer, Director, Producer, DP, Gaffer, Production Designer, Sound Mixer. See Mentorship Model for crew positions/rates. – The crew demographics goal is 90% female, and at least 30% people of color. – All cast & crew will be paid. Refer to CFC Production Model for rates. All non-CFC-members will be compensated $35 of their project payment as a membership credit. – You must be a member of the collective to submit a script. Membership comes with many perks.